3 Levels – 9 bedrooms – All ensuite – 240m2 – Beautiful Historic Building Rebuilt in 2004 Investment, 2nd home or investment and apartment! 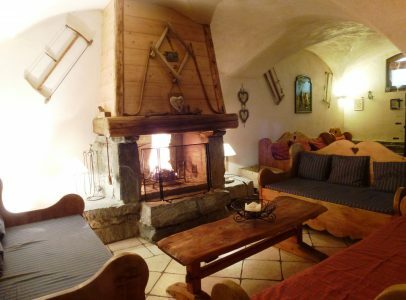 It doesn’t matter this Chalet is just a great buy as ski chalets in this zone of Meribel normally sell for €2 to €3 million. 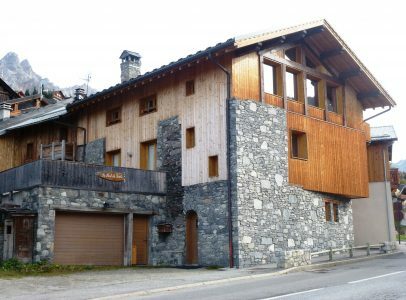 This Meribel Chalet is the practical choice for anyone looking for a large Chalet in central Meribel. It comprises 9 ensuite bedrooms. A vast combined lounge dining room with large open fire place on the ground floor is complimented by a second smaller lounge on the top floor and a huge terrace over the double garage. The price also includes all the furniture. • Approximately 240m² of habitable floor area. • 9 bedrooms – all ensuite . 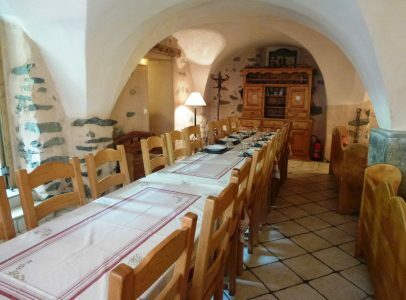 • Large open plan lounge and dining area with open fire and original vaulted ceiling. • Large external terrace with beautiful mountain views. 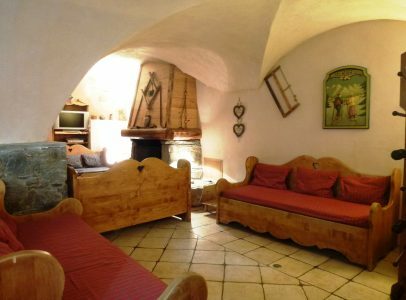 • 3 parking spaces + potential for more on extra land 9 Bedrooms – all ensuite on first & second floors 4 Bathrooms – Bath, WC + Sink 5 Shower bedrooms – Shower, WC + Sink Guest toilet on ground level so 10 toilets in total Externally the property is typical of a large Savoyard Chalet. It encompasses traditional details with a practical layout and size. 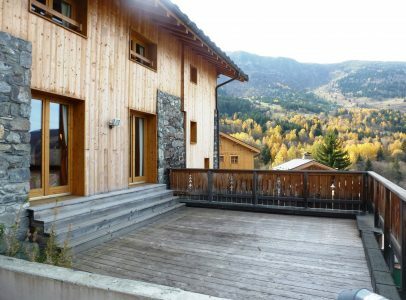 The Chalet is decorated tastefully but conservatively, allowing any purchaser to easily put their stamp on the property. Here are just two options a potential buyer might consider: 1. 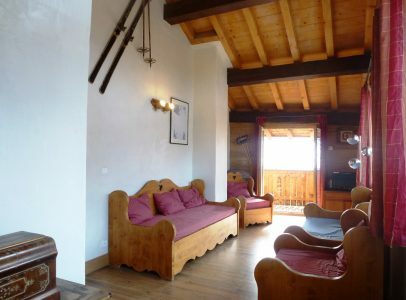 With minimal internal renovation the chalet could be moved a little more upmarket; thereby increasing rental returns. This would involve reducing the number of bedrooms from nine to seven, making a larger lounge area on the top floor with fireplace and fantastic views. One of the bedrooms could be turned into a sauna room, leaving the existing en-suite shower , and creating access to the terrace where you could install a Jacuzzi. 2. 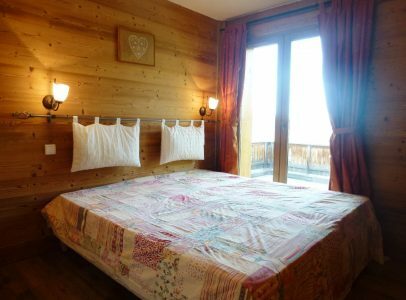 Get yourself a free ski apartment by splitting the chalet into a top floor three bedroom apartment for personal use and paying for it with a four bedroom investment chalet below on the lower two levels again with new sauna and jacuzzi to maximise rental return. The chalets’ entrance leads into the spacious lounge/dining area with the capacity to dine 20 people. Pretty exposed wood, stone detail and original vaulted ceilings make the property characterful. 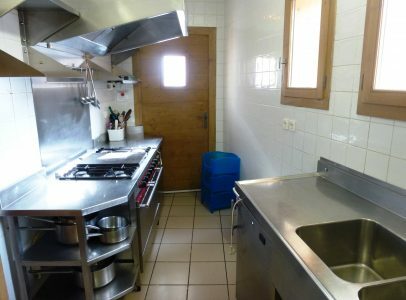 The kitchen is well equipped and would be suitable for catering. It benefits from a large gas range, dishwasher, large sink and other white goods. 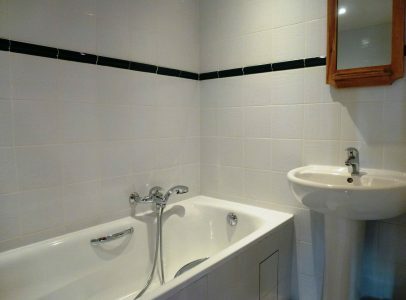 All of the large 9 bedrooms are equipped with en suites. 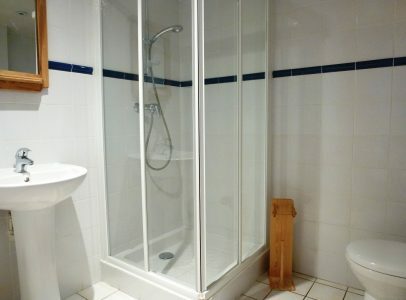 5 of which have shower units, 4 with baths. One room contains an additional mezzanine space allowing for an additional guest. Another bedroom has a private balcony with south facing views. The main balcony/terrace is a good size and offers dramatic views of the valley. The garage has a ski boot warmer and would be suitable for storing ski equipment. A 2 minute bus journey away is La Chaudanne, where Méribel’s main ski lifts are located, linking Méribel with the vast ski domain of the Three Valleys. The main commercial centre of Meribel is a 10 minute walk.